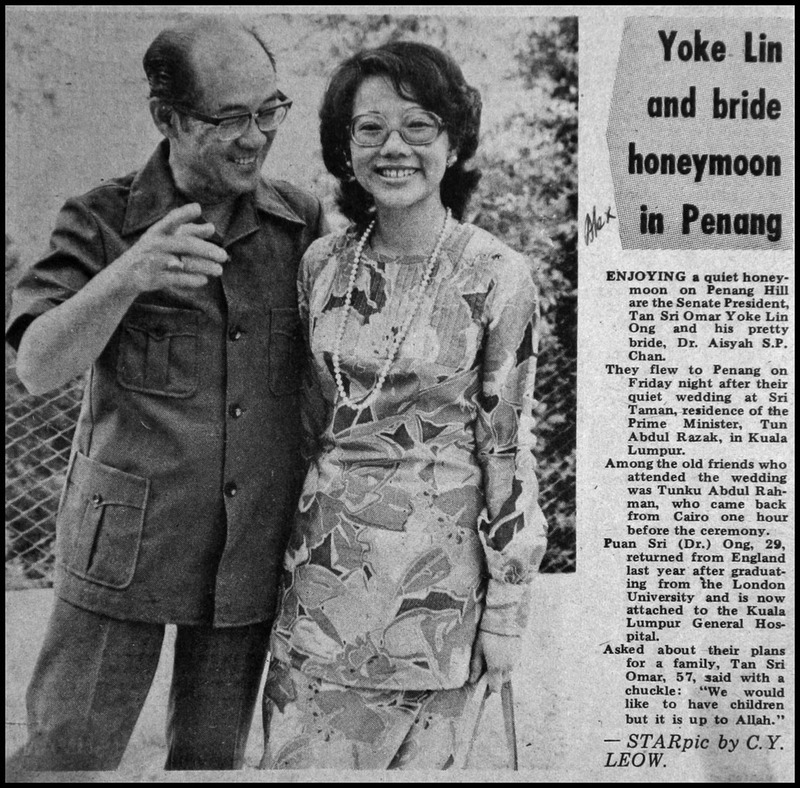 I remember on that Saturday, April 20, 1974; The Star Managing Editor, K.S.Choong asked me (rookie Photo Editor) and rookie reporter Alex Choong (no relation) to go up Penang Hill and find Tan Sri Omar Yoke Lin who is enjoying a quite honeymoon with his pretty bride, Dr.Aisyah S.P.Chan. Choong told us it is an EXCLUSIVE story and we got all excited! I took my Nikon F2 which has an MD2 motor-drive attached, this is probably the FIRST motor drive that any Malaysian news photographer ever used! I still remembered Choong was speechless when I asked him to authorise the payment of RM1,111.00 for the drive! Yes, even at that time, Choong knew that "breaking" technology IS EXPENSIVE and they don't grow on trees! 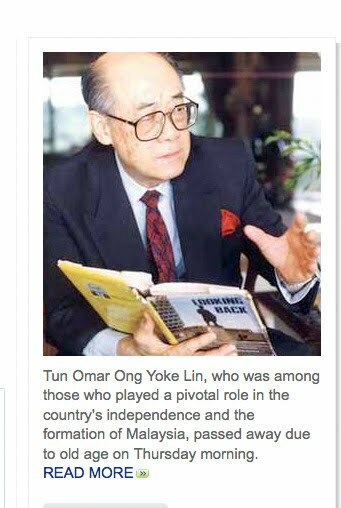 Don't forget that The Star was the FIRST paper to go offset and the first Malaysia paper to use computers! That is foresight for you! Alex and I thought that the job was "a breeze"! Not so! Because we DO NOT know where the loving couple are staying! We spent hours up at Penang Hill searching and asking without luck, we came back in the afternoon and tell Choong the news and he told us in no uncertain term that "Do NOT come back if you can't find them!" So up Penang Hill we went again! It was late afternoon when Alex and me tracked them to the government Rest House. We waited outside, my F2 ready... as Tan Sri and his wife appeared, they were a bit surprise to see us... my F2 and drive went whirring. Tan Sri was pointing at me and told his lovely wife, "It must be K.S.Choong!" The picture made it to the FRONT of The Sunday Star the next day. Thanks for the memory Tun! Rest In Peace. Seems sad that you took that photo and now the bridegroom is dead.1974 is a long time ago, yet is sometimes it feels as it was yesterday.